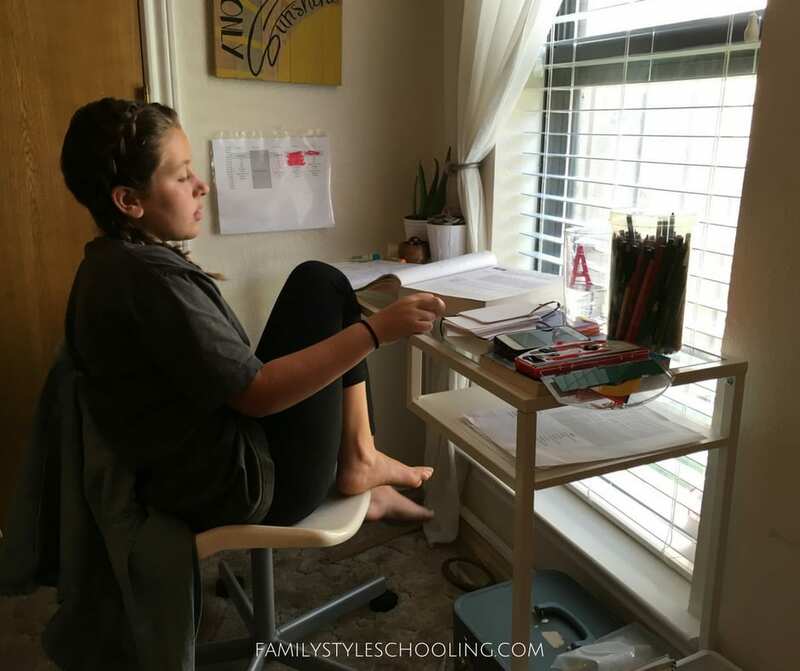 One of the hot debate topics of in homeschool circles is whether to have a dedicated homeschool room or not. Often it can become a knock down, drag out fight between those with and those without—similar to the star-bellied Sneetches of Dr. Seuss. 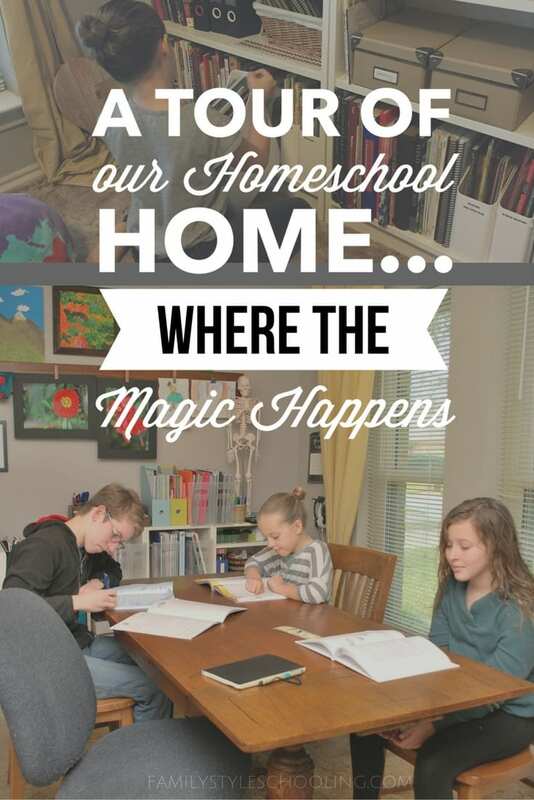 I thought I'd give you a tour of our homeschool home, because it's where the magic really happens. 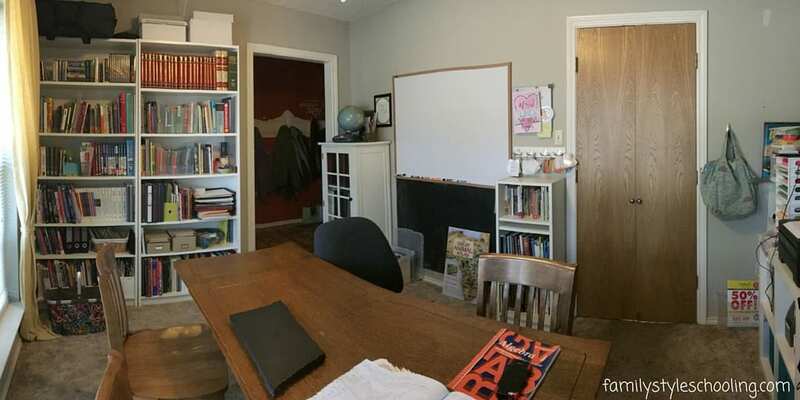 Let's Start in the "Homeschool Room"
Okay. 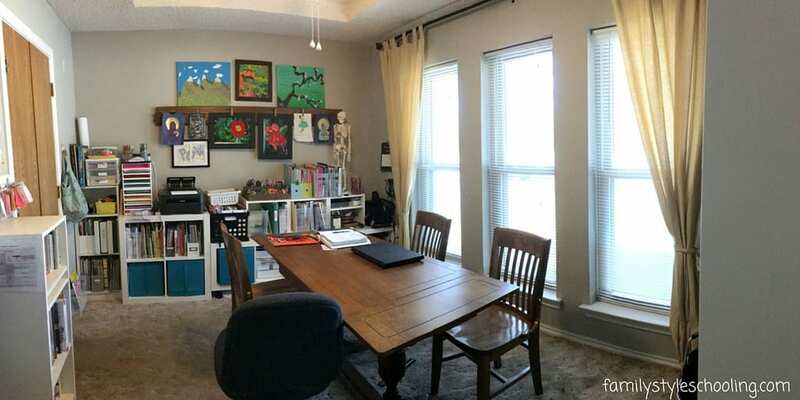 If you've read my blog at all, you'll know that we do actually have a homeschool room, and it's lovely. It's our "formal" dining room, and since we never formally entertain, a school room seemed more fitting. The main job that this room accomplishes is holding all of the curriculum for our little school. Let's face it...once you've been doing this for a couple of years, you amass stuff. 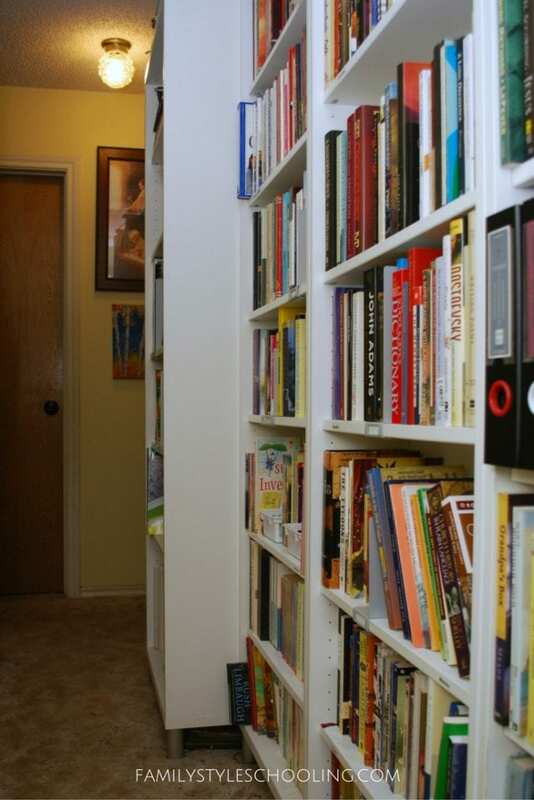 We have bookshelves and cubbies, and the beautiful thing is that at the end of the day, everything has a place. I have lots of organizing tricks that keep things put away, and even then, sometimes you have to wage war to reclaim your school room. I do have a dry erase board in our school room, which is great for talking through sentences for Essentials, or demonstrating spelling words. I also use my dry erase board for drawing maps together, and talking through tricky math problems. Clearly, I love my white board. While I love that we have an official school room, some of my favorite learning times happen at the kitchen table. We meet every morning for morning time at the kitchen table. I love that the whole family gathers together, and our mornings begin with God's word. It's tough to unify 2nd grade and 10th, but amazingly, we find topics that we can all enjoy learning together. I think the kitchen table is my favorite part of my homeschool home. When the crowds leave, my son usually commandeers the kitchen table and spreads out. This gives him ample room to study, but keeps him in the middle of all the action where he likes to work. Okay, so there is not really just one reading nook in the house. There are several. They read to me on the extra wide chair. The best place to read is in the fort behind the couch. I'm thankful that it's easy to build, and easy to clean. We read aloud together in the living room, and sometimes that means that everyone is spread out in all directions. They might be drawing on paper, building with Legos, or stretching on a mat. Learning happens in all of them. 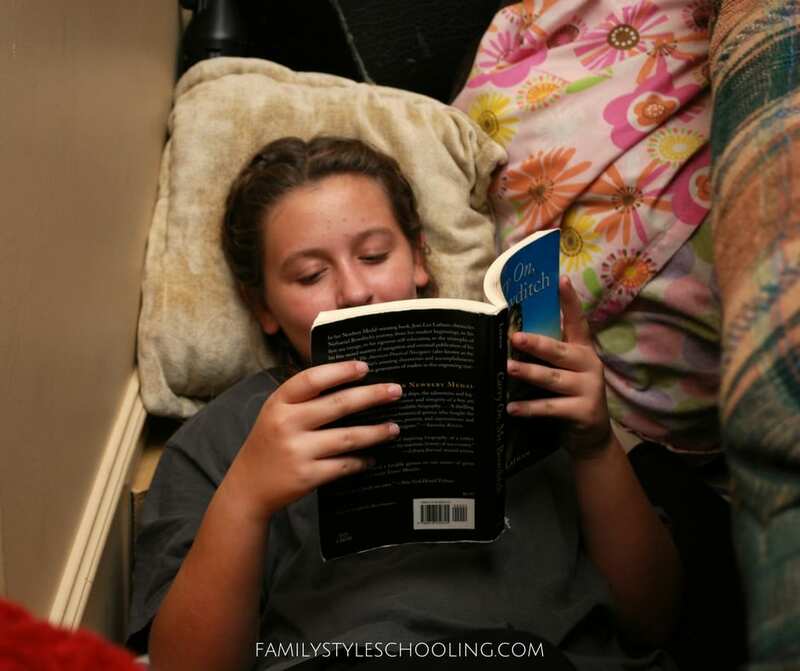 What is a homeschool home without books? Our back hallway was just screaming for some skinny shelves and a purpose. Even though there are bookshelves in every room, we still needed more. I'm happy to say that my house could be held up with books. Having an abundance of quality reading material is a great way to offer your children further opportunities to learn and grow. You could get a library card, but what is the fun of that? Besides, I always dreamed of having a library in my home. Now I'm living the dream! Music practice is on the schedule every day. It's a beautiful break from the regular work, and music does something magical to the brain that you can't get from any other task. 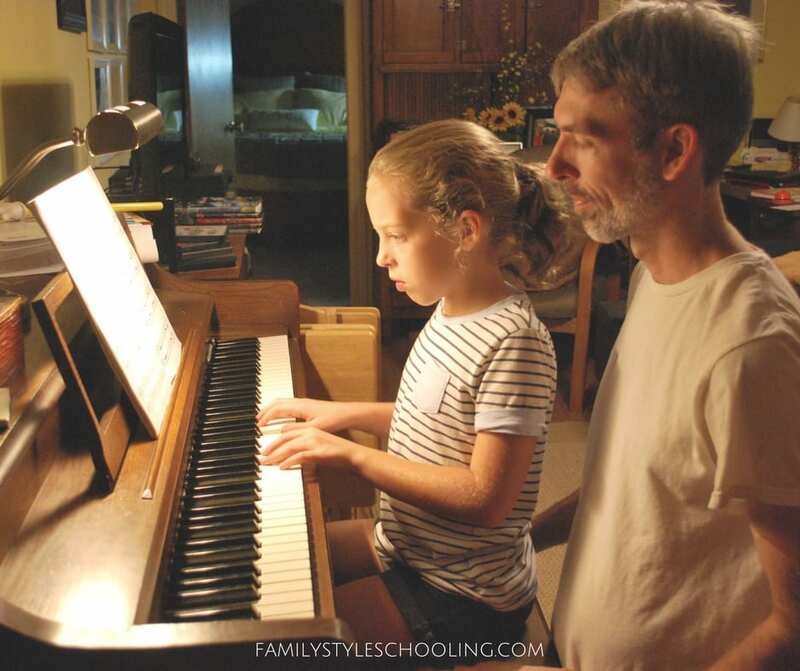 I love that my mom bought me this piano for my 16th birthday, and now my children all play it, and my husband teaches piano lessons to other children with it. I think this is the most important part of our homeschool home. Even though I love a noisy study environment, recently I've learned that my daughter needs quiet to work. We've set up a quiet study nook for her in her bed room. Just to be honest, this scares me to death! I'm afraid that she'll piddle, or get distracted by her phone. I'm afraid that she'll lose touch with the rest of us. However, I'm willing to give it a try because I know that a frustrated student is a fruitless student, and I want her to succeed. I'll be checking in on her often though, so she doesn't get too comfortable in her space! Recess is a big part of our school day. 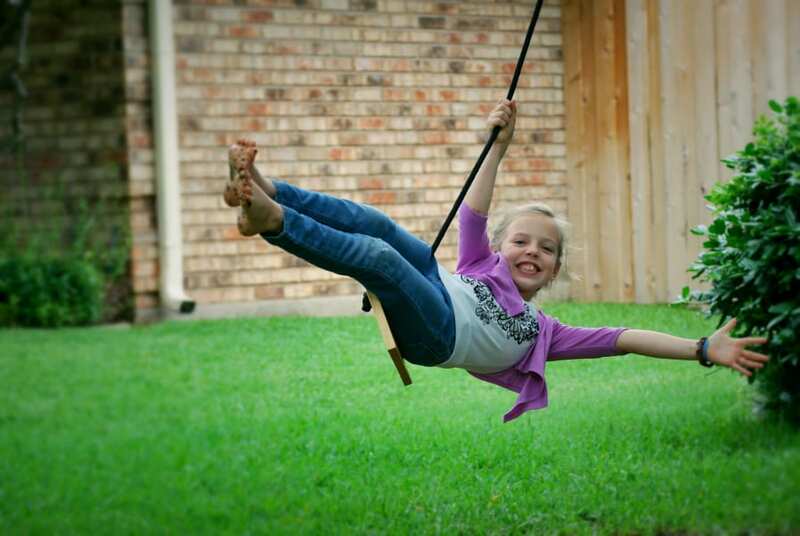 Kids need time to play, opportunities to climb, and chances to sweat. I think the brain needs a good rest every now and then, and the learning potential will multiply with a little vitamin D...and dirt! You really can't contain school in our home to just one room. 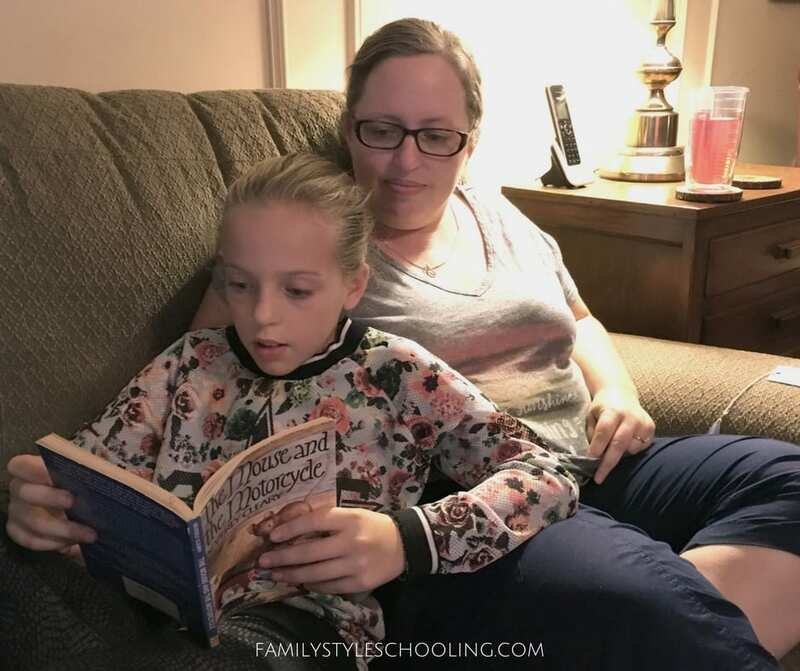 Even though we have an official spot, I really feel like we have a home school home...and I didn't even mention all the learning that happens in the car. 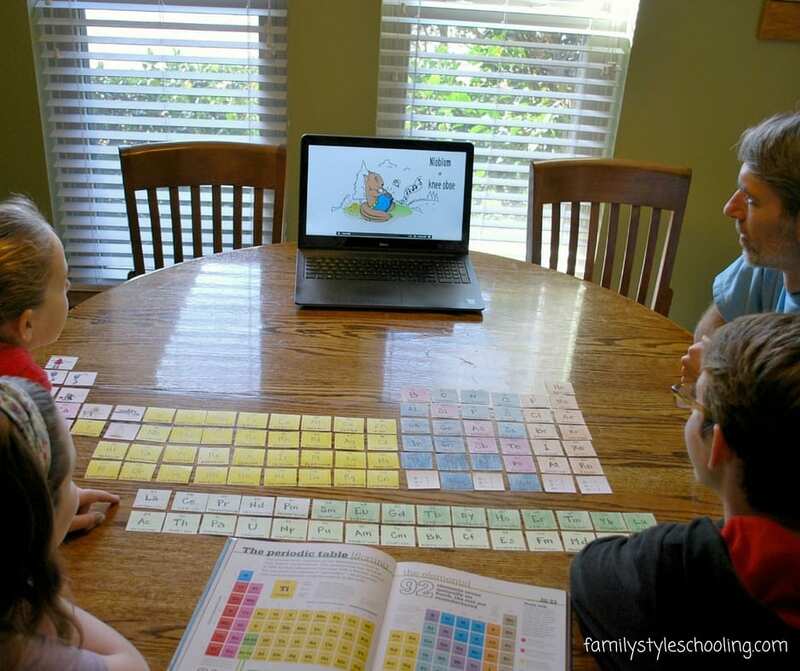 Do you have a dedicated home school room? I totally loved this post Betsy. Also, I am in love with your entire homeschool. Especially the reading nooks and the library. Sharing this with the Logic Roots Network of homeschooling mom’s. Thanks so much! Yes, I’m addicted to books. I can really only teach them so much, but books can teach them for life! Thanks for sharing! 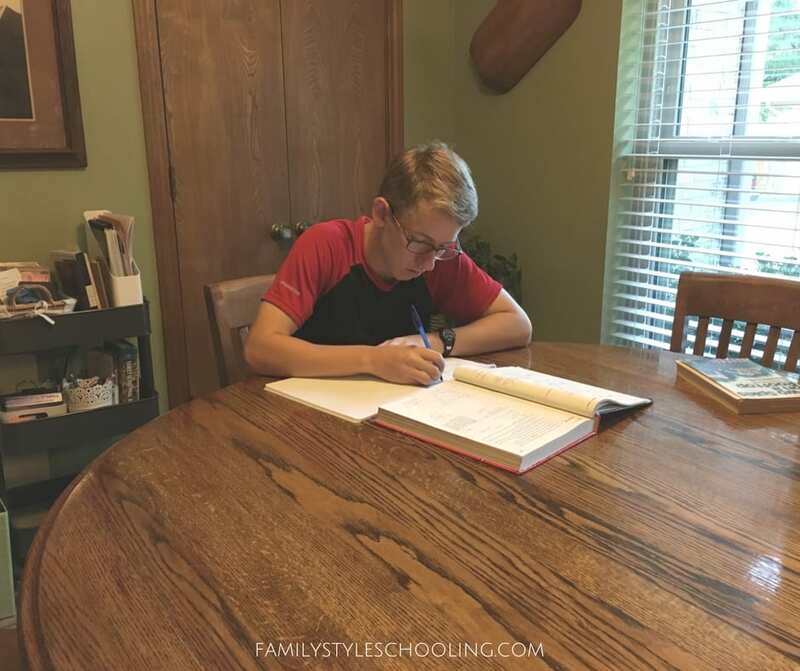 Love it — school really is a lifestyle and it happens all over the house, doesn’t it? My daughter is the same way! She does a lot of her work in her room because it is quiet. She can’t concentrate with noise and it really frustrates her. My oldest son has music playing while he works. They all have different needs. She is great with staying on task with her planner she fills on as she goes. Everyone has a little bit different of a rhythm. It’s great to be able to accommodate them as much as possible.